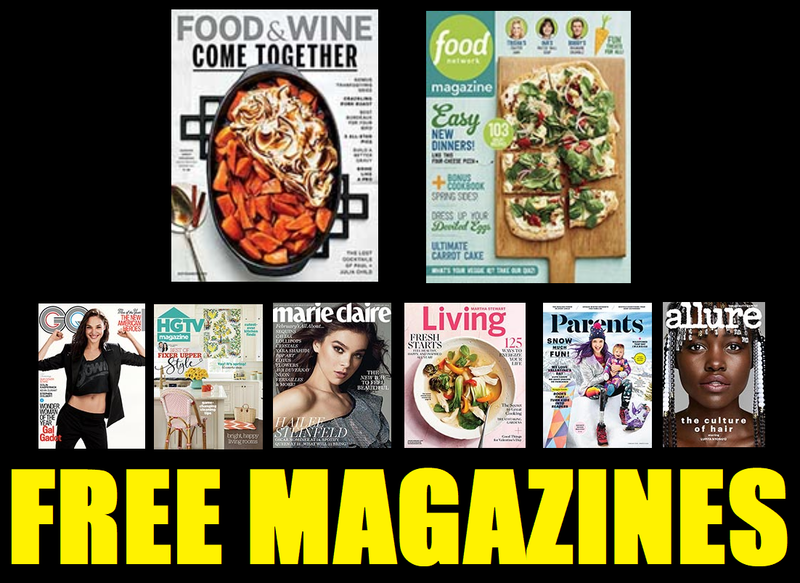 Free 2 Year Subscription to Food Network Magazine or Food & Wine Magazine. Many Others Available to choose from as well: GQ, HGTV, Health, Martha Stewart Living and Many More. These titles are rarely free so grab them quick!